Boychuck played some harder than average minutes and did a good job with them. 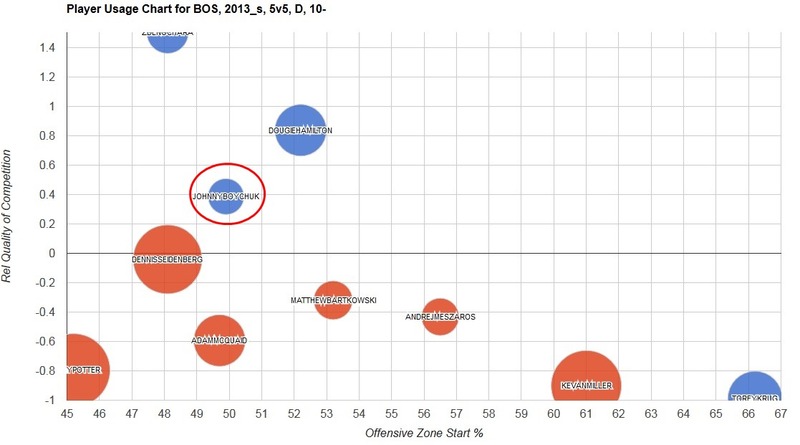 Much like Leddy, Boychuk played on a really good possession team so having a blue bubble is an impressive feat. 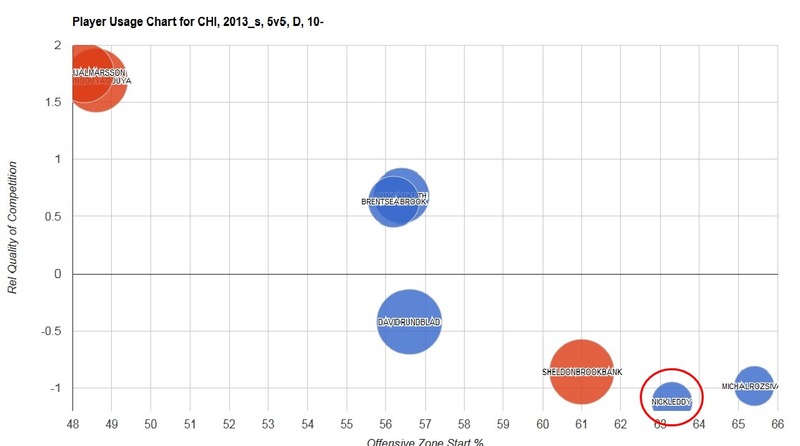 In a year the Islanders went from parading out the possessionally challenged Andy MacDonald on a regular basis to now having some a solid grouping of defensemen. 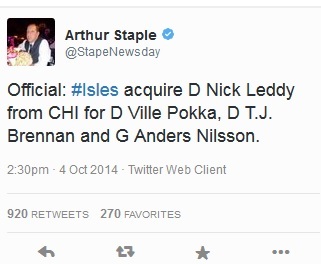 If you had any doubts about the Islanders making the playoffs this year, you can erase them now. 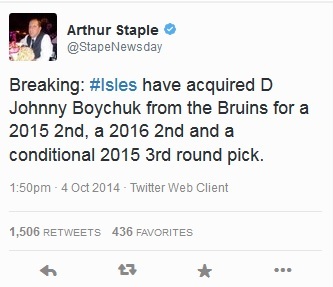 Sorry Buffalo, no extra lottery pick for you. Do you like the content at Hockey Hurts? Would you like to support us? Do you buy stuff on Amazon? If the answer is yes to all of the above click on the Amazon banner at the top of the page anytime you are looking to make an Amazon purchase. It doesn't cost you anything and we get a little kick back for you going through our link. Thanks!